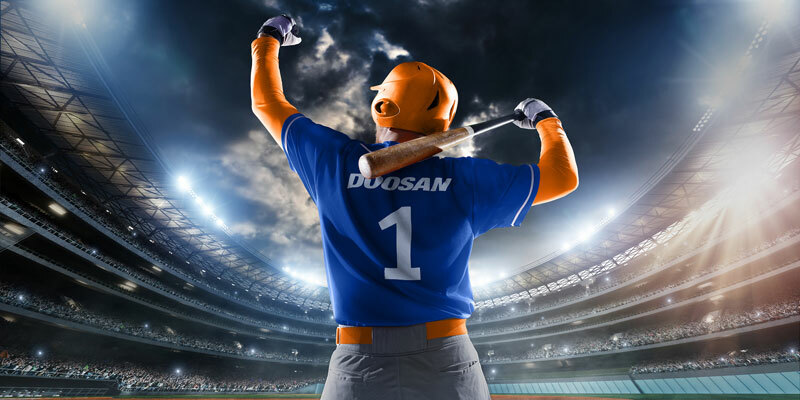 Robust chassis design and heavy duty build quality ensure Doosan’s 7-series is tough enough for any application. Truck will not move without an operator in the seat. Lift and Lower function disabled if the operator is not in the seat. Tilt function will be locked if no operator is in the seat. Alarm will sound if operator leaves the seat without applying parking brake. Seat belt warning light on dashboard to remind operator to fasten seat belt. 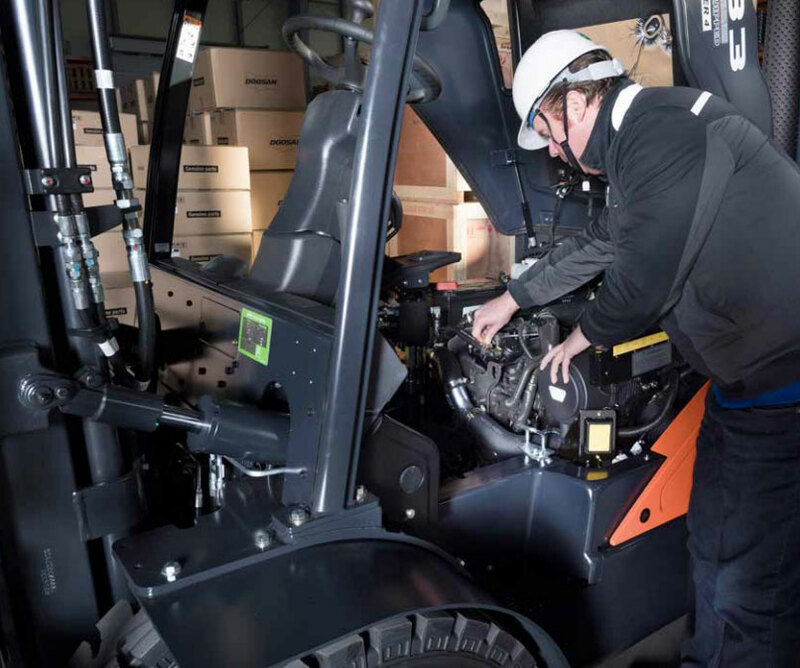 Improve operator’s safety and convenience with locking function. 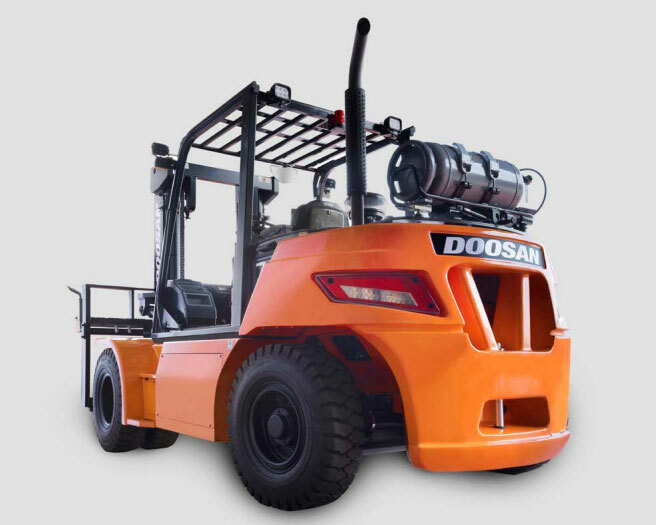 Increase safety when operator enters the forklift especially in the snowy weather. New Zeus Cabin provides to operator not only great comfort but also higher productivity with ergonomically design features. The neat and wide-open floorboard provides operator with plenty of foot room to make entry and exit a breeze. Possible to check transmission oil easily through the window located under the seat box. Easy to check the Engine diagnostic. Wide hood opening range for best accessibility. Great location of fuel filter for serviceability. Recommended for applications in humid, abrasive or corrosive environments, or with ramp, loading and unloading applications. 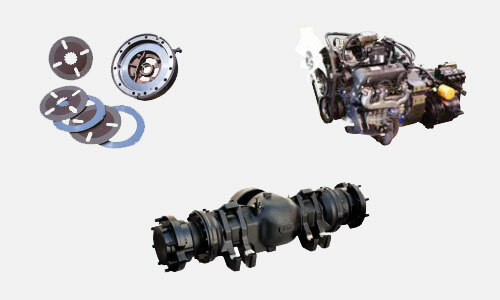 The well known, proven PSI 4.3L LP gas engine has excellent durability. 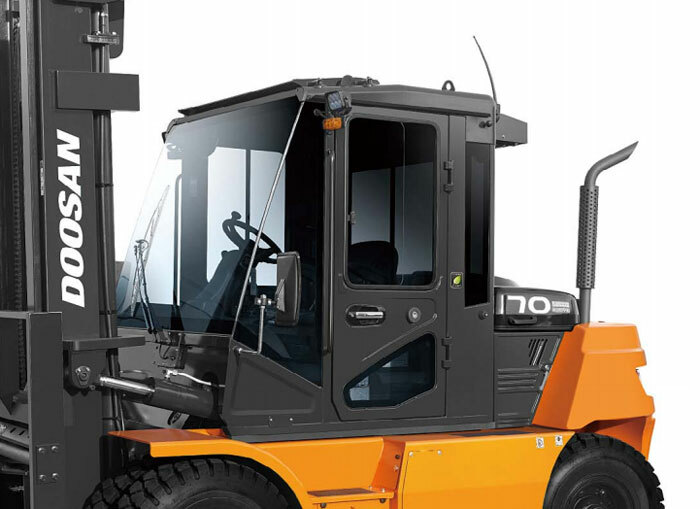 Low noise and minimal vibration features add to operators comfort. Strong one-piece cast housing keeps axle components aligned.